Globe Tavern. Courtesy of Library of Congress. Since June 15, 1864 the Union army under Major General George Meade and Lieutenant General Ulysses Grant hammered the Confederate defenses around Petersburg. From limited success along the eastern front June 15-18, then a thwarted attack on the Confederate supply line along the Petersburg (Weldon) Railroad on June 21st and finally the disastrous Battle of the Crater, the Union army was still no closer to its objective. Grant began to rethink his strategy; no longer did he look to head long assaults along General Robert E. Lee’s entrenched lines. Now he looked to cut off his supply lines and use his greatest advantage to do it, numerical superiority. The Petersburg Railroad was a vital link for Lee’s army and the Confederate capital of Richmond to North Carolina and the Deep South. Wilmington, NC was one of the few harbors left in the Confederacy to blockade runners and this supply route brought valuable goods to the front. On June 21st, a short lived advance by men of the Sixth Corps did cut the railroad until Confederate counter attacks forced them back to the area of the Jerusalem Plank Road. This time, Grant decided to use his superiority in numbers to his advantage. With Lee covering nearly 60 miles of defenses with 60,000 men and Grant facing him with twice that number, Lee could not concentrate his forces in varying places at the same time. Grant proposed two offenses, one a diversionary attack (though he believed substantial Confederate infantry were on their way to the Shenandoah Valley, weakening the defenses around Richmond and possibly creating opportunity for a strike) and the other the primary attack. By attacking in the area of “Deep Bottom” north of the James River, Grant hoped he could hold a bulk of Lee’s men north of the James. Meanwhile he planned his primary attack on the southwestern flank of Petersburg in the area of Globe Tavern, along the Petersburg (Weldon) Railroad. By cutting this supply line, Grant hoped to further strangle his opponent. Grant attempted his Deep Bottom strategy before, in conjunction with explosion of the mine at Elliott’s Salient. 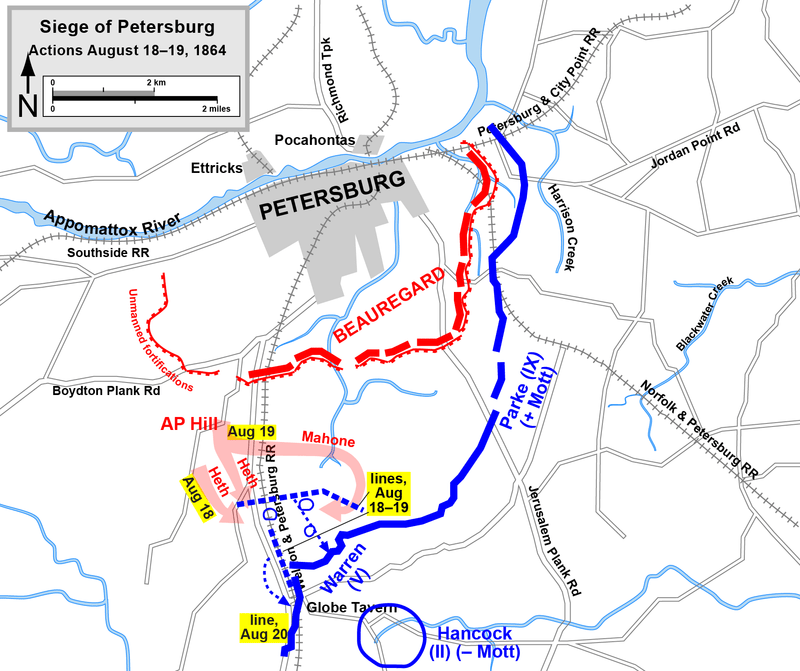 The Battle of First Deep Bottom was successful in pulling away Confederate forces from Petersburg to north of the James. Grant hoped to repeat that strategy in mid-August. On August 13th Major General Hancock’s Second Corps began to shift from the Petersburg front northward to cross the James River. Working in conjunction with the Tenth Corps, the Federals attacked the Confederate line in the area or New Market Heights. 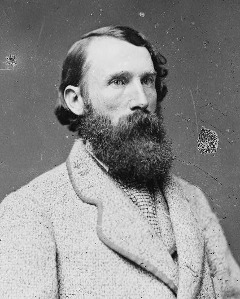 After some minor successes, the Federal attacks were thwarted partly by Major General Charles Field’s infantry and Major General Rooney Lee’s cavalry. After nearly 4,500 casualties combined on both sides, the situation around New Market Road didn’t change. Though Lee was successful in defending Richmond, Grant was also successful in pulling Confederate forces north from Petersburg, leaving his main objective vulnerable – Lee’s southern supply line. 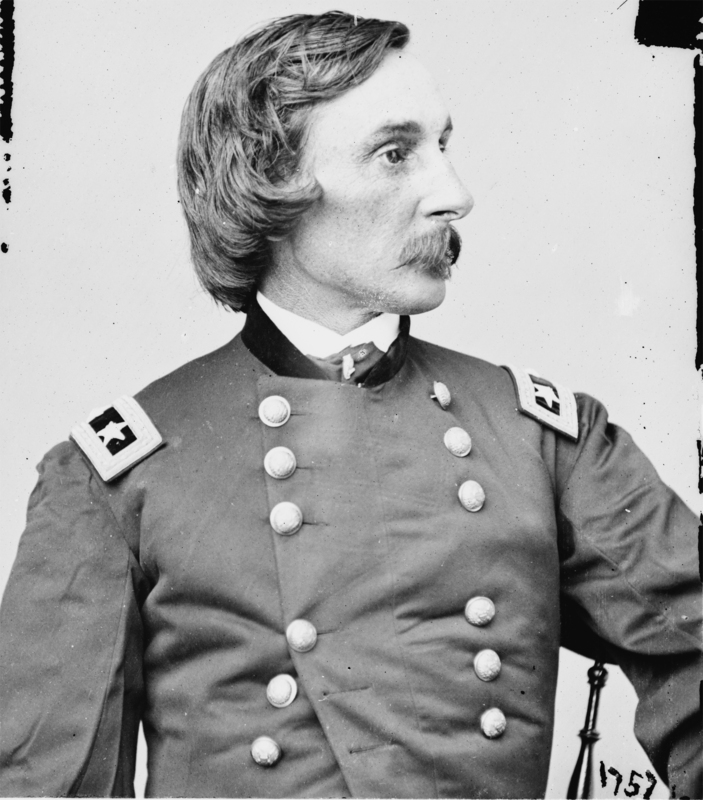 Major General G. K. Warren. Courtesy of Library of Congress. Lt. Gen. A. P. Hill. Courtesy of Library of Congress. The Battle of Globe Tavern closed off Lee’s railroad connection to North Carolina, the many charges against the Federal line also cost Lee heavy casualties that could not be replaced. Hill suffered nearly 2,000 casualties, while Warren suffered an estimated 4,000 (of which nearly 3,000 were prisoners). Though Warren captured the railroad, Grant was unhappy with his subordinate. 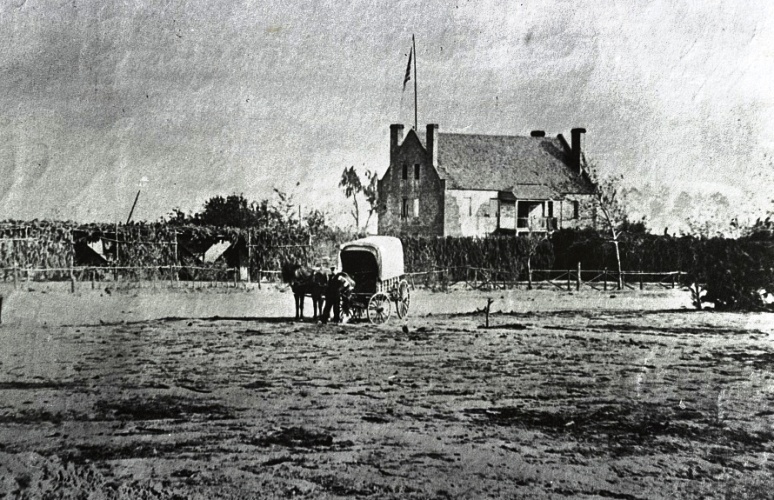 Warren’s star fell fast during the summer of 1864 and his defensive nature around Globe Tavern seemed to anger the aggressive Grant. The Confederates planned on alternative routes of supply via wagons from a more southern station along the Petersburg (Weldon) Railroad at Stony Creek Station. Not totally satisfied with the accomplishments of the Fifth and Ninth Corps, Grant ordered Hancock and his Second Corps farther south on the Petersburg (Weldon) Railroad to further destroy and cut off Lee’s supply line. This led Hancock to a place called Ream’s Station and a desperate day for the vaunted Second Corps. Best volume on the battle, recently updated and reprinted by Savas Beatie (originally printed in 1991). New comprehensive look at the beginning of the Petersburg Campaign, including Globe Tavern. Classic overview of the Petersburg Campaign, this is also being updated and reprinted by Savas Beatie in Fall 2014 (originally printed in 1991). This entry was posted in Armies, Battlefields & Historic Places, Battles, Campaigns and tagged 10th Corps, Charles Field, Deep Bottom, Dimmock Line, George G. Meade, Globe Tavern, Gouverneur K. Warren, James River, New Market Road, Petersburg, Robert E. Lee, Rooney Lee, Siege of Petersburg, Ulysses S. Grant, Weldon Rail Road, Wiliam Mahone, Winfield Scott Hancock. Bookmark the permalink.